indoor and outdoor applications on firm and level surfaces. We hire out Scissor Lifts in Tauranga, Papamoa, Mount Maunganui and the wider Bay of Plenty region. 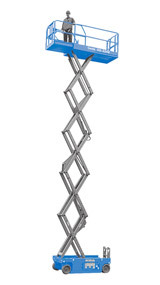 ACCESS HIRE BOP’s electric scissor lifts are exceptionally mobile, letting you manoeuvre in tight work sites. Plus, they are productive and efficient, allowing maximum workspace for larger loads and more workers. Our scissor lift rental service caters to Tauranga, Papamoa and Mount Maunganui, as well as the wider Bay of Plenty. ACCESS HIRE BOP’s low-emission electric scissor lift delivers a quiet, convenient method for operation in sound-sensitive environments like office buildings, shopping malls, hotels, schools and more. 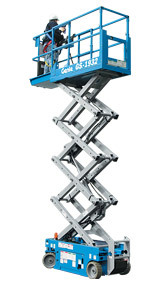 For the best scissor lift hire rate – contact us for daily, weekly and monthly hireage. Highly recommend Access Hire, they are easy to deal with, efficient and always on time. The free delivery in the TGA and Mount areas are great too. 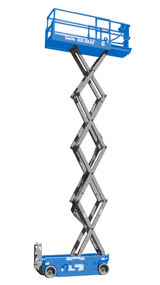 Using the Scissor lifts from Access Hire is 1/4 of the price of scaffolding. Great team and awesome to deal with.